This set of casters is ideal for hand trucks, wagons, garden carts, wheelbarrows, and other equipment in home, DIY, business, and farm. It features industrial quality zinc plated construction for high durability. The base and wheel are both with ball bearings for high support capacity up to 300 LBS. 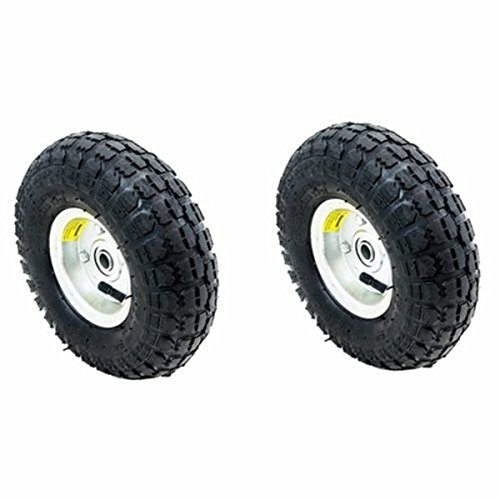 Wheel Width: 3-1/2", Wheel Height: 10"
If you have any questions about this product by Wichai Shop, contact us by completing and submitting the form below. If you are looking for a specif part number, please include it with your message.